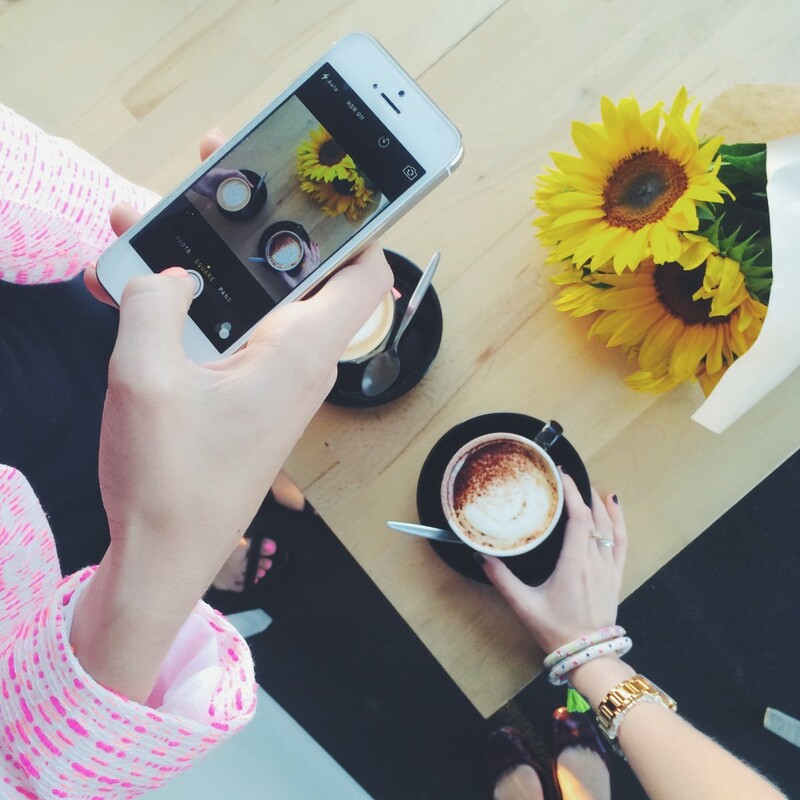 Adelaide and coffee are two words that work well together in one sentence. 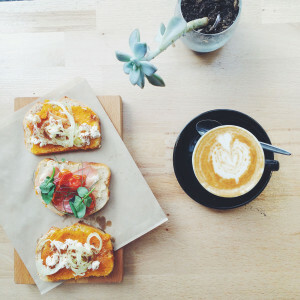 Growing up in Adelaide (South Australia), moving away to live overseas and travel the world, and now to return, I’ve excitedly re-discovered a city that is fresh, coffee-centric and completely revived. 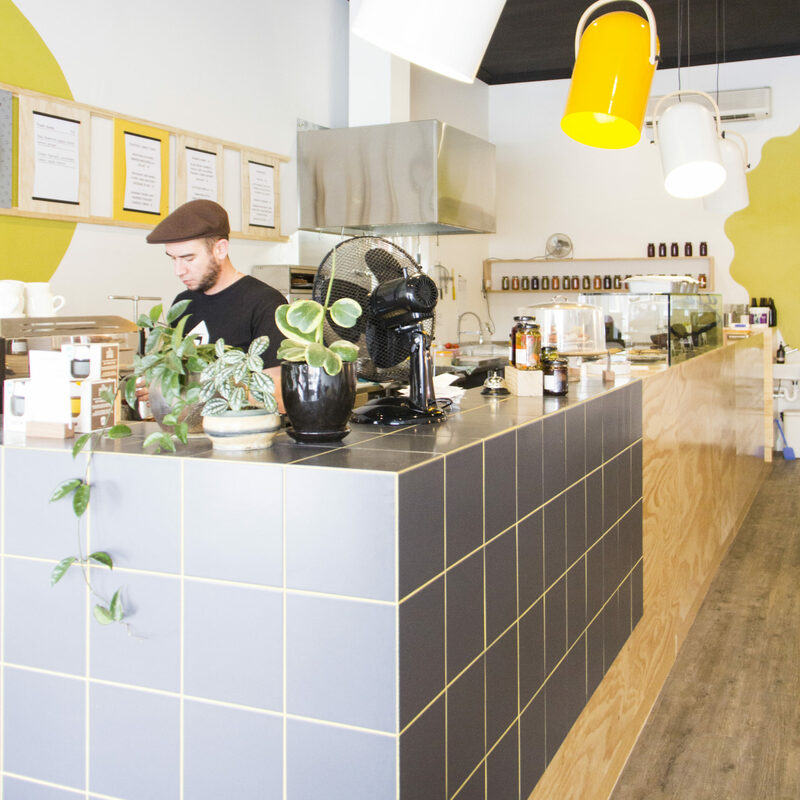 Adelaide cafes are an institution, a movement, and they’re here to stay! Adelaide has always been affectionately referred to as Radelaide, and as a friend of mine recently said, “he’s definitely now earned the ‘R’”. Because if you ask me, the coffee scene here now not-so-secretly rivals the best establishments of coffee-famous Melbourne. If you’re on the hunt for a sundrenched, barista-bustling cafe space where people hang with their silver Macbooks propped, I know just the places. Brand new to Adelaide, this gorgeous white + minimalist space is like something straight out of Europe. Except, there’s Vegemite on the countertop. Here you’ll find white tiled benches, scandi-inspired benches for coffee-sipping, plywood and iron pipe industrial shelving, fresh pastries, and pot plants placed just so (read: effortless). 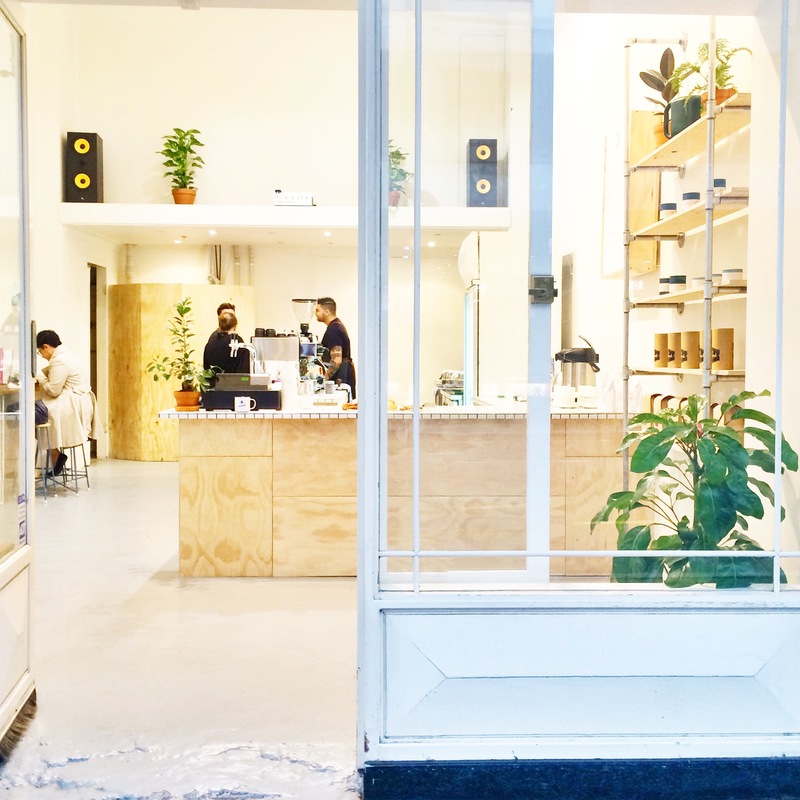 Keeping it simple with kicking coffee, specialty tea and lots of natural light, owner Jarrad returned from Melbourne to open an approachable coffee without the pretentiousness that can sometimes come with the territory. Need it be said, you’ll also want to visit Monday’s on Tuesday, Wednesday, Thursday…and so on. Oui, s’il vous plaît. This place is so new that they’re yet to have signage, but when you see red geranium planters and mint green painted brick outside, you’ll know you’re at the right place. Reminiscent of Paris brasseries, cosy marble tables inside are made for brews of tea and hearty conversations. 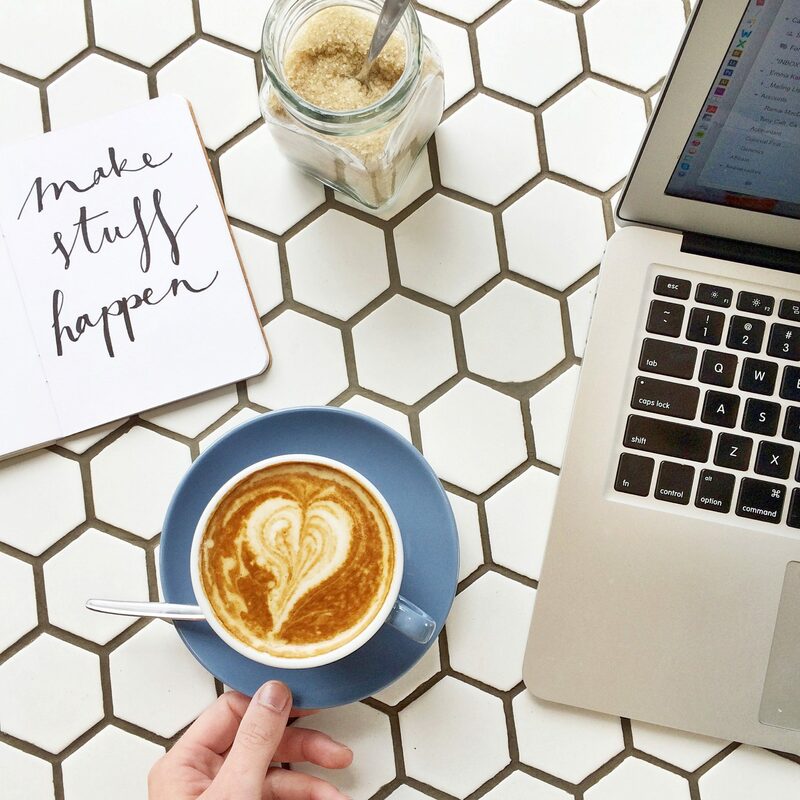 The waitresses are mostly French, so it’s the perfect place to practice rolling your r’s, order your café au lait and pretend you’re actually in France. Opening daily from 6am (even on Sunday), because the early, early bird gets the best coffee. In closing, I’d like to say the owner Guillaume has a completely disarming smile and I may have un petit crush. 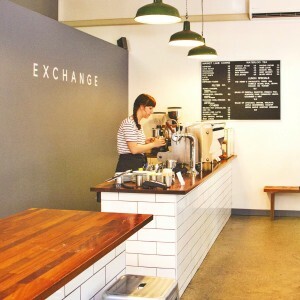 Organic espresso and elixir bar, changing the world one sip at a time? Yes, there is such a thing. Nutrition Republic offers natural, raw and organic products. Here, there’s a milk menu almost as long as the coffee menu. Pick from regular milk, almond, rice or coconut. With superfood elixirs such as a liquid brownie (banana, cacao, cacao nibs, date & chia), you’ll come for breakfast but feel like it’s dessert. The Forage Bircher Muesli is incredible. 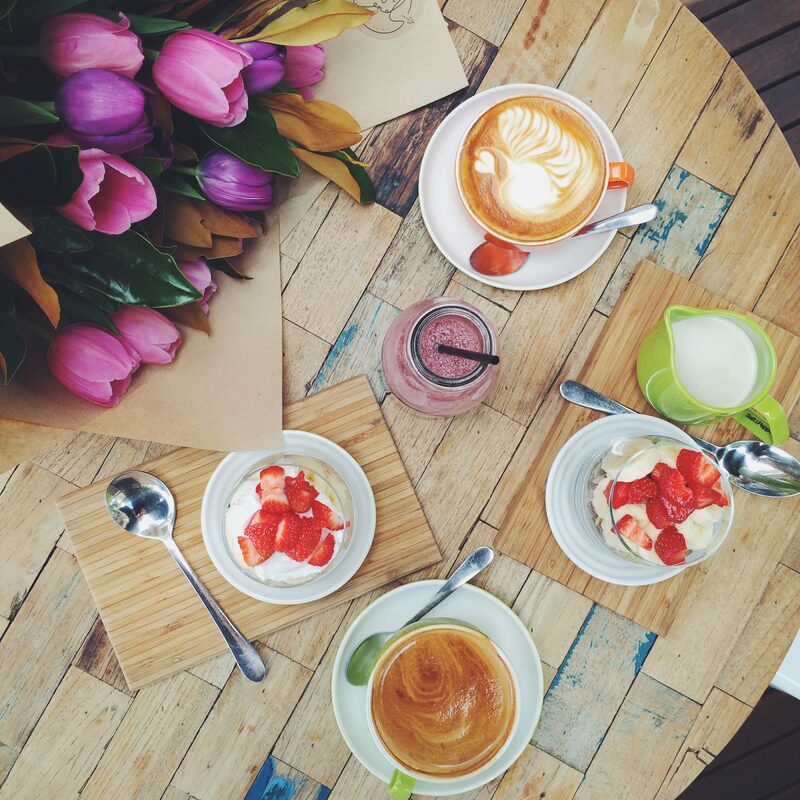 If happiness were a cafe, this would be it. Nestled in the heart of Peel Street (central CBD) you’ll find a little pocket of sunshine. 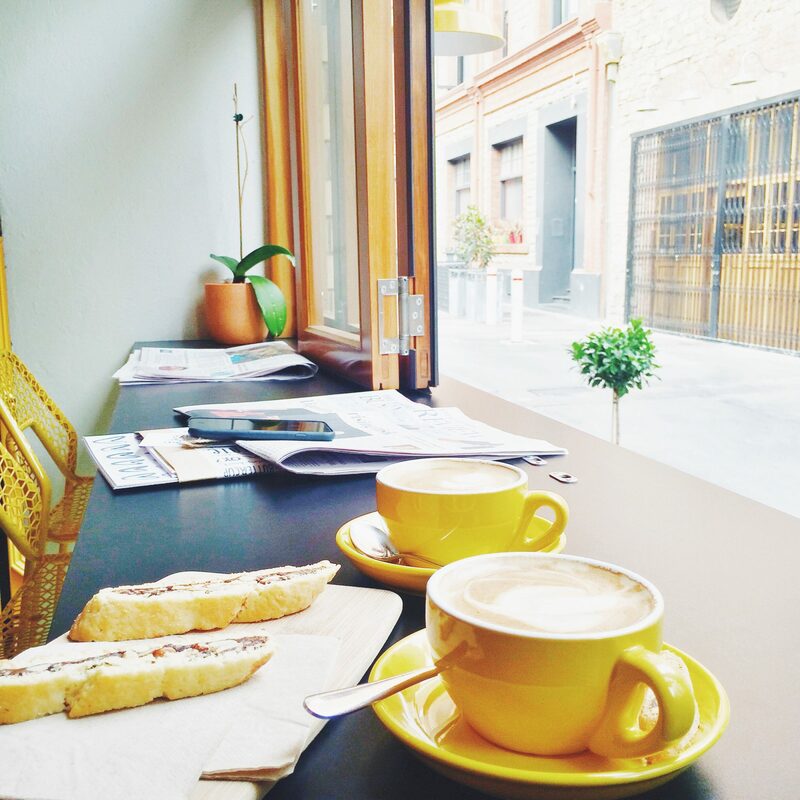 We’re talking canary yellow door, sunflower cups and strong Italian coffee. 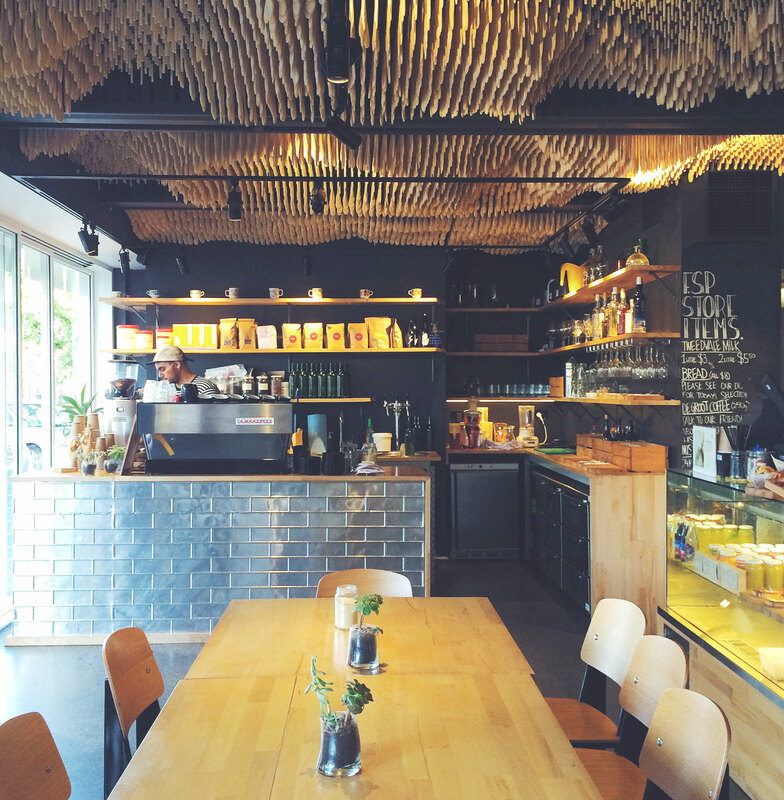 With a split-level mezzanine setup, you can sit high above the baristas and watch them texture your milk. Dreamy. Snag the windowsill spot when the shutters are pushed wide open, for sunshine streaming in and a good dose of people watching. As soon as you walk into this happy, light-flooded space, you’ll look up to the ceiling and probably struggle to look away for the entire time you’re there. An undulating wave of ten thousand wooden spoons are suspended from the ceiling (not that I’ve counted, but I can guarantee this installation will take your breath away). 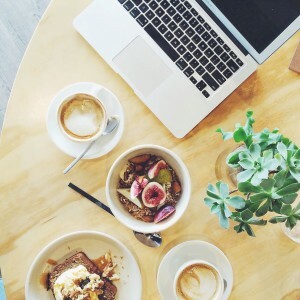 This sets the scene in a beautiful way, and you’ll soon see, that just as much care goes into the menu, coffee and food as the interior styling. Succulents sit happily on tables, of course. 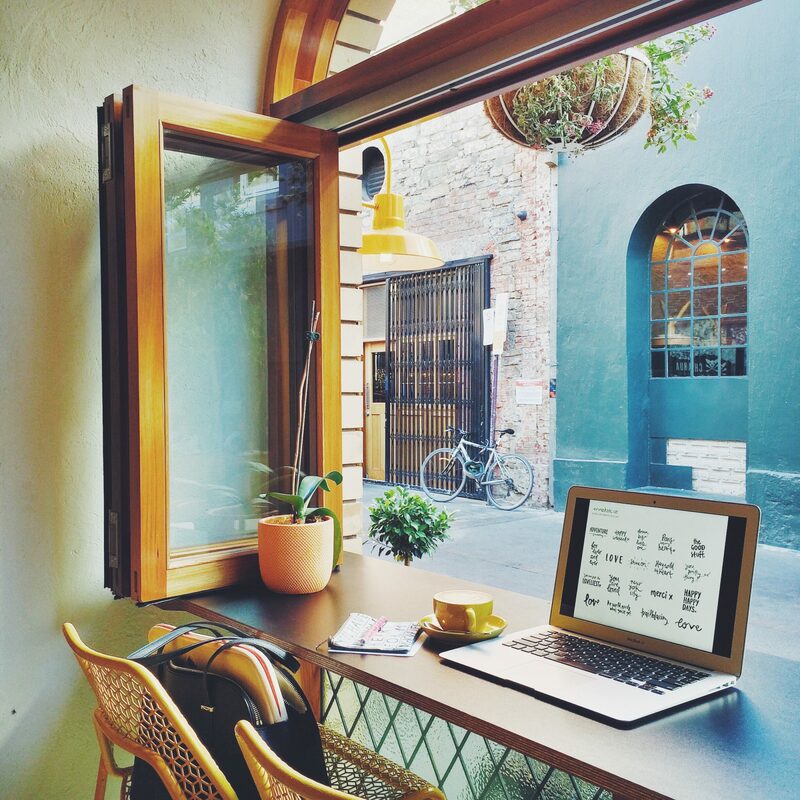 Grab yourself a window seat for streaming light and people watching. I recommend the Clare Valley poached eggs, avocado and lime, halloumi and sourdough. Because, avocado. It’s a small space – expect a lineup out the door on for brunch on weekends. This place is a goodie. Don’t be put off by the name – this indie cool eatery will make you anything but (and just to spell it out, SAD is an anagram of neighbouring DAS hair boutique). 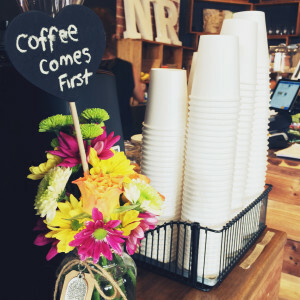 The mission of this cafe is: as fresh as possible, as local as possible and as simple as possible. Pretty good, right? 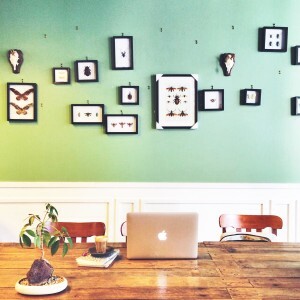 The arthropod wall art makes you feel like you’ve stepped inside a biologist’s living room, but the spinning vinyl, stack of Wallpaper city guides and the big, rickety communal table will make you feel totally comfortable with this. The coffee is en pointe. This spot has a certain je ne sais quoi about it. 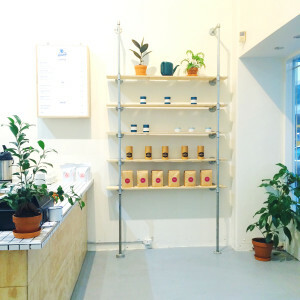 Owner Thomas Roden returned from the UK (where he worked at Workshop Coffee Co. – only one of London’s best) to bring a little taste of London home, and he’s executed this plan brilliantly. In Thomas’s words, “We have two simple goals: to serve exceptional espresso, filter coffee and tea, and to provide genuine hospitality and rewarding experiences.” What more could you want in a cafe? I love this place because it is clean, simple, stylish and no fuss. There’s also a perfect curation of artsy magazines suspended on string. And the location – amid quaint Ebenezer Place – makes it the perfect spot to tap on keys from. This happy little space is brand new and already one of my favourites. With a minimalist, scandinavian inspired interior, plant life and pops of bright yellow, it’s impossible to not smile from the inside as soon as you step inside. Pickle in the Middle boasts a plant-centric menu, features an all-day breakfast menu (WIN) and I am personally on a mission to eat my way through the entire menu. Yum. Now, over to you! 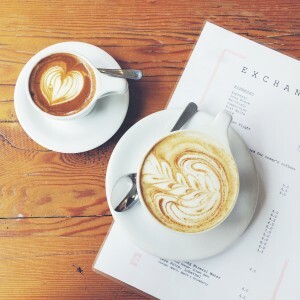 Where’s your favourite coffee in Adelaide? In the world? Possibly slightly bias but I work at Carnevale Coffee Roasters on East Avenue in Adelaide. My amazing employers roast all of our coffee on site and we have chairs and tables hanging from the ceiling that have been made into lights. It’s the greatest place to work and I must say the coffee is to die for. Annnnnnnd suddenly I find myself desperately wanting to go to Adelaide. Beautiful pictures! God I wish we’d read this when we were stuck near Adelaide for 3months on a farm. This would have been a god send. Thanks for the shout out to little old Adelaide. We are getting some great places opening. 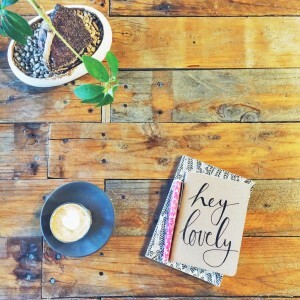 Coffylosophy on Hutt Street, and Coffee Branch on Lee Street are my favourite jaunts. My parents are visiting Adelaide so I sent them this! They went to Flinders Street Project this morning and feedback was Coffee good, food great! They had sour dough bread bacon and eggs. Now I want to go just to visit these beautiful coffee shops! Thanks for sharing. Posts like these just remind me that I’m in a city that is seriously lacking in cute a quirky coffee establishments. These look like some great selections! I’m so ashamed to admit that I’ve never been to Adelaide! It’s so close to Melbourne, so I really have no excuse. I’d love to check out these recommendations, I’m definitely getting a Melbourne vibe from this post! Im fatin from Malaysia.. Im writing here to get your advice regarding Australia.. I plan to go by this september and still confusing which part of Australia i need to cover first..
Can’t wait to try these cafes! 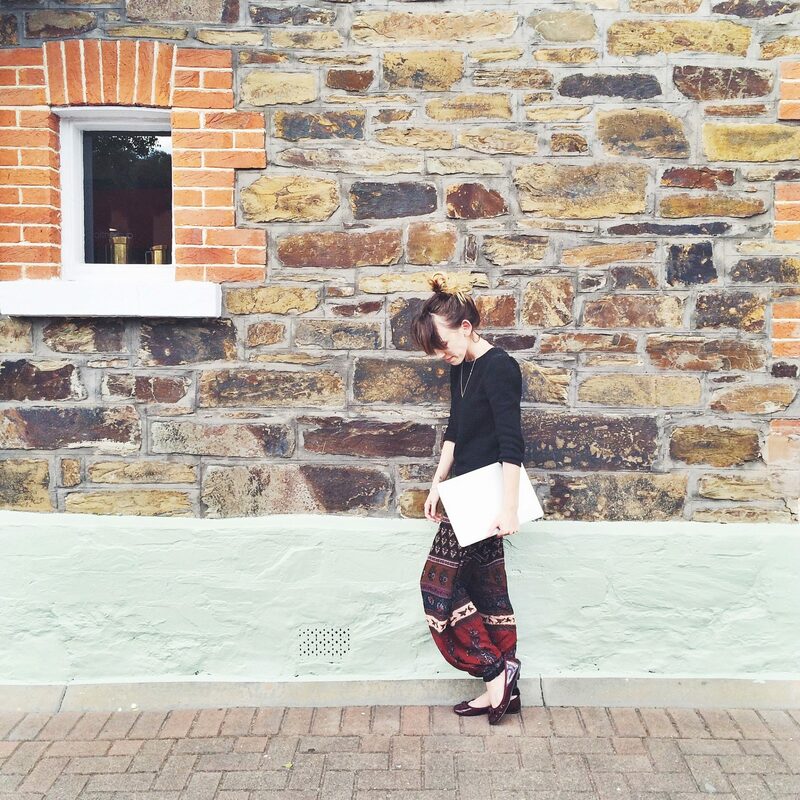 My Adelaide favourites are: The Coffee Barun in Sefton Park, Coffee Institute in Walkerville and the Curiosity Shop and Tea Rooms in Walkerville.